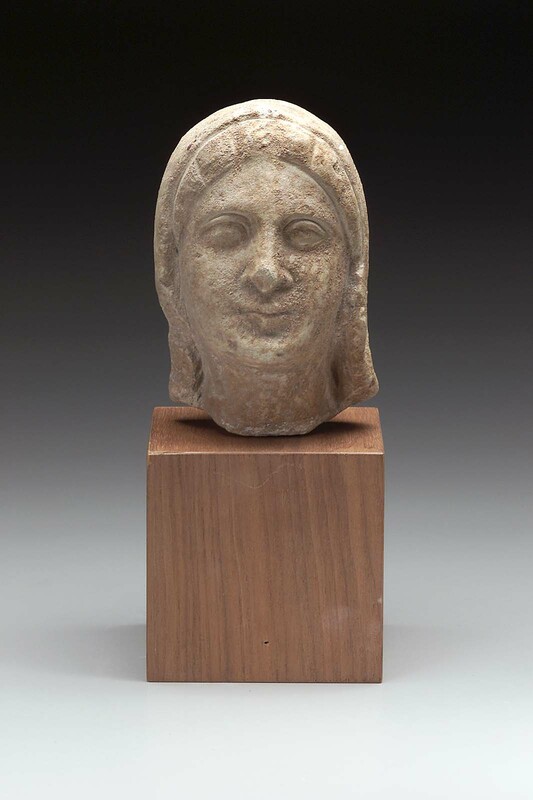 late 4th century B.C.–1st century A.D.
Sculpture in Stone (MFA), no. 454; Sculpture in Stone and Bronze (MFA), p. 117 (additional published references). The woman wears her himation drawn up as a veil over her head, a symbol of piety. It fits closely to her head, leaving only the hair over the forehead exposed. This hair is drawn back in tight groups of strands or waves, almost resembling a so-called “melon” coiffure, a hairstyle popular in Hellenistic art. Sometimes thought to represent Berenike II, wife of Ptolemy III (246-221 B.C.). 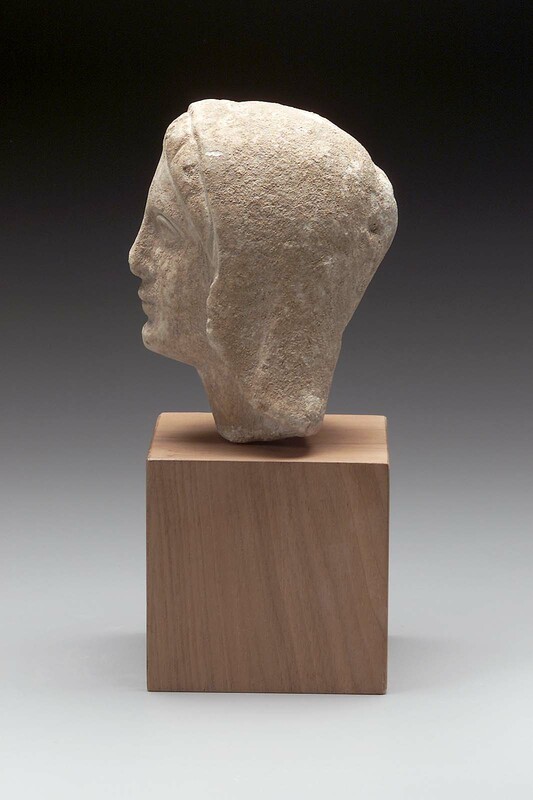 This head likely once belonged to a nearly lifesized statue dedicated at a Cypriot sanctuary or perhaps used to mark a grave. Similar statues of veiled women from the sanctuary of Golgoi-Ayios Photios are thought to be related to a common statue type. Condition: The nose is damaged, and the surfaces have a crusty brown patina.